If your dishwasher is not cleaning properly, select a different wash cycle than what you usually use. Many machines have several options such as Hi Temp, Sanitize, and Tough Scrub. Sometimes poor wash quality results from not choosing the appropriate wash due to the level of residue on the dishes. 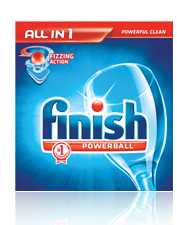 We recommend Finish All In One Dishwasher tablets. 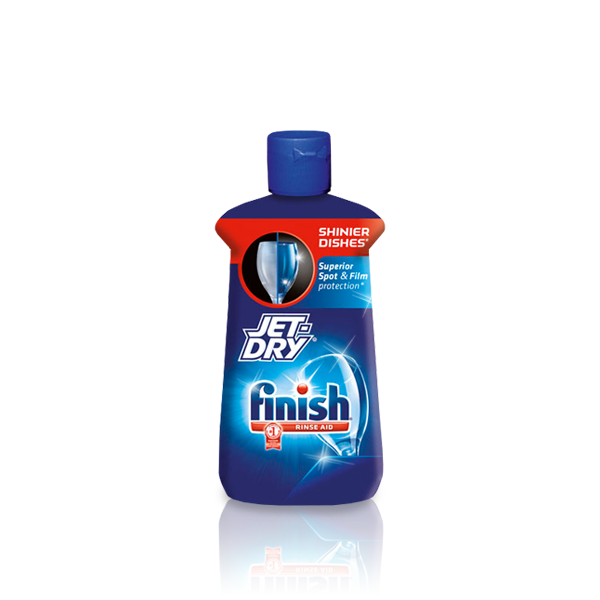 This product includes the detergent and rinse aid all in one. 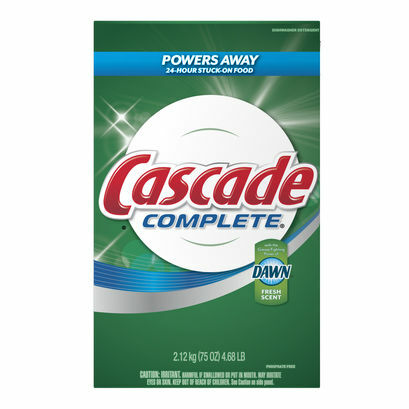 Other high quality detergents such as Cascade Complete work well also. Make sure to scrape off large pieces of food and rinse dishes prior to placing in the dishwasher. This will prevent from food build up in your chopper and drain pump, and keep your unit working better longer. **However, “Etching” can occur from rinsing dishes “too clean” in soft water conditions with too much detergent. The detergent doesn’t have any residue to work off of and has to disolve itself which can create white film. Using rinse aids or hanging baskets in your dishwasher supplied with soft water can cause a milky cloudy film on glassware due to overactivation of the product. In soft water, rinse aid isn’t as critical to achieve satisfactory drying results. Using Sanitize or Hi Temp wash will improve drying conditions on dishware. The high temperature water in these cycles promotes evaporation thus leaving dishes spot free. Soft plastic dishes will have a harder time drying due to the porous nature of the plastic. Dishwashers with stainless steel tubs have less drying times and residual issues than tubs made up of plastic. To keep the dishwasher residue free, run a half gallon of distilled white vinegar through the machine annually. The dishwasher food disposer is not intended to chop pits, shells, toothpicks, etc. Clear off dishes of this debris before loading the machine. When not in use, keeping the door unlatched will keep pressure off of the door seals thus increasing the lifetime of the door seal. Glass Magic can be used to boost cleaning performance in hard water conditions. * Water conditions and PH levels vary from home to home. You may need to experiment with different settings and detergents to find out what works best for your dishwasher. ©2019 Direct Home Appliance Repair, all rights reserved.